The same composition, albeit in a tighter technique, occurs in a sheet by Francesco in the Museo Correr (A. Morassi, Guardi, Tutti i Disegni, no. 573). 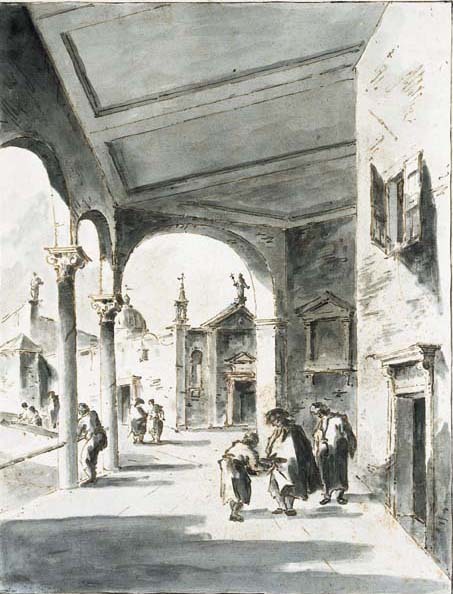 The grey wash is was apparently an addition by Giacomo Guardi to his father's drawing.